We’re not saying that just taking a home staging course is enough to secure you a six-figure salary in other fields. It takes serious hard work and additional training to get the skills you need for each career! But, your knowledge of home staging basics won’t just limit you to a staging job. You can take your skills and apply them in several design-related careers! Not convinced? Here are 7 fields you can enter after completing your home staging certification! Some clients will ask you to stage their home for sale while they’re still living in it. This involves decluttering and re-organizing around clients while keeping their spaces functional. Doesn’t this sound suspiciously like a professional organizer’s job description? Decluttering needs to happen every time you stage a home. You need to separate the valued mementos from the items that should be thrown in the trash! General clutter distracts homebuyers and homeowners alike from the quality of their space. Your course trains you to create useful spaces for homeowners. Many people are so used to seeing their own personal items throughout their house that they don’t even notice them anymore! Your fresh pair of eyes can quickly tell what does and doesn’t improve the function of a space. Home staging and interior decorating have different final goals. They do, however, use the same design principles. In home staging, you’ll learn how to hone in on the most appealing features of a home. You’ll use your design skills to highlight them to appeal to the eye while maintaining its function. You need to master essential skills such as light design and space planning to excel in both fields. And you aren’t just working with your client. You’ll also work with contractors to do minor makeovers. This includes painting and adding new window treatments. It can also include installing floor coverings. Most home designers own their own companies. This makes building these business relationships vital to both careers. 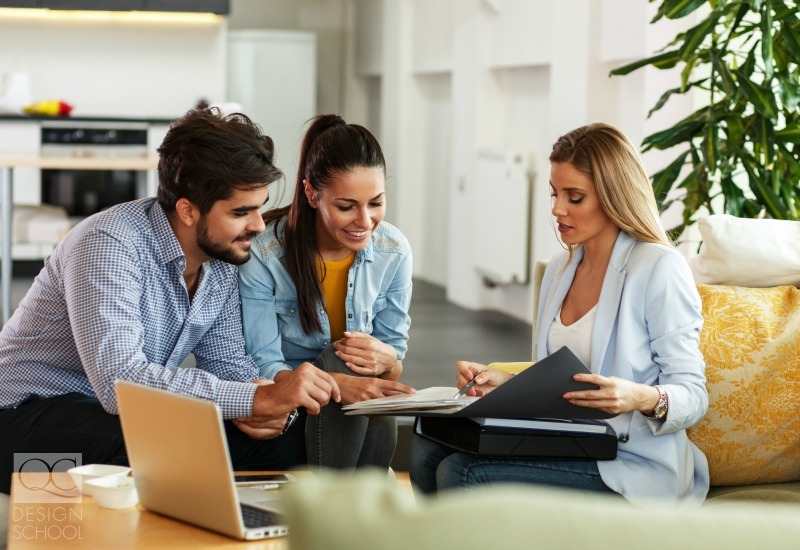 Home stagers and real estate agents work together to sell homes. Many home stagers become real estate agents and vice versa to increase their salaries. When you’re a home stager, your job is to understand the needs of prospective buyers. You’ll need to tap into the psychology of the typical buyer. This will make it easier to sell the home and its features to suit their lifestyle. It is possible to completely switch over from home staging to become a real estate agent. But why not do both? Becoming a one-stop shop for a homeowner can significantly grow your list of clientele! Home stagers are usually members of an association. Why not try designing their conferences and exhibitions? These big-budget conferences are great opportunities to show off your staging skills. Start as small as attractive individual booths. Alternatively, organize the floor plan for the whole she-bang! Either way, you’ll gain recognition for your work. You can also tackle other events. Trade shows and cultural interest conventions are great options. Art galleries and museum spaces will also give you excellent exposure. This experience will help you understand your client’s purpose and messaging for the event. Another skill you can borrow from your home stager training? Coming up with an overarching theme and making sure every display meshes well with the others in the exhibition. This field is similar to the exhibition designer. 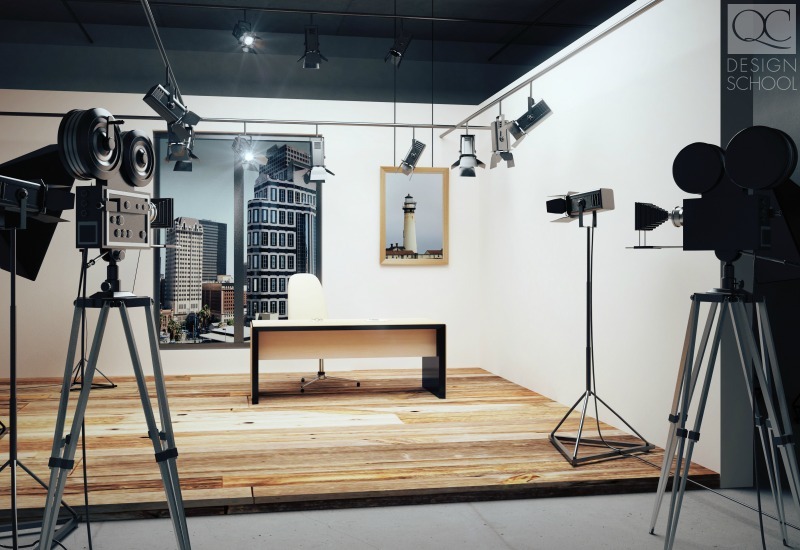 You’ll work closely with the director and the script to design sets. These sets can range from film to theater productions to communicate the central theme and message. You’ll work from the ground up to develop the concept. You’ll also make sure the set matches the purposes of the scene. Does it look realistic and functional? Are the characters interacting with the space and are all the elements in place? The set should reflect the atmosphere and themes of the plot. Having certain props in the background to foreshadow certain events has afforded shows like Arrested Development critical acclaim! The concept is highly important, but you still need your design training to shine through. Using colors, lines, and lighting to focus the eye allows the set to support the characters in a scene. If you’ve ever staged a home from top to bottom, you know just how involved it is. Being your own boss means taking the reins and coordinating all your resources to get everything done on time and within budget. If you’re confident in your leadership, math, time management, and analytical skills, this field shouldn’t be intimidating. It really depends on what you enjoy doing. Running your own staging company means doing all the administrative work on top of actually staging the home! Meanwhile, being a full-time project manager means managing multiple projects on overlapping timelines. Luckily, you have the necessary business skills from your course to try your hand in both careers. Think you have what it takes? Staging a shop, big or small, can result in big bucks for your client. A retailer may have fantastic products, but those sales won’t happen unless you can draw people into the store! Your staging course trains you how to stage the inside of a home as well as the exterior (curb appeal) to lock down buyers. The buyers in the world of retail and hospitality are your client’s customers. You must appeal to the interests of a specific demographic while working with space limitations for the displays. After you understand the brand’s objectives and the mindset of their customers, you can develop floor plans and product displays to increase sales. Retailers are constantly changing up their displays every season, so you can bet there are loads of opportunities for you! Have you tried any of these careers? Let us know in a comment! Even if you’ve been a home stager for many years, you should always continue to learn! Check out our Color Consultant Workshop to refine your skills!